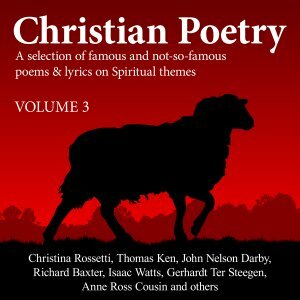 63 poems by various authors including Christina Rossetti, Thomas Ken, John Nelson Darby, Richard Baxter, Isaac Watts, Gerhardt Ter Steegan, Anne Ross Cousin and many others. This audiobook of Poems on Spiritual Themes has been brought together in order that these spiritual truths and impressions, presented in poetical form, will comfort and edify God’s people as they wrestle daily with the world, the flesh, and the devil. 6 Dost Thou not care? 9 Who shall deliver Me? 26 Blest cross! blest sepulchre! 43 Ο Christ, what burdens bow'd thy head!